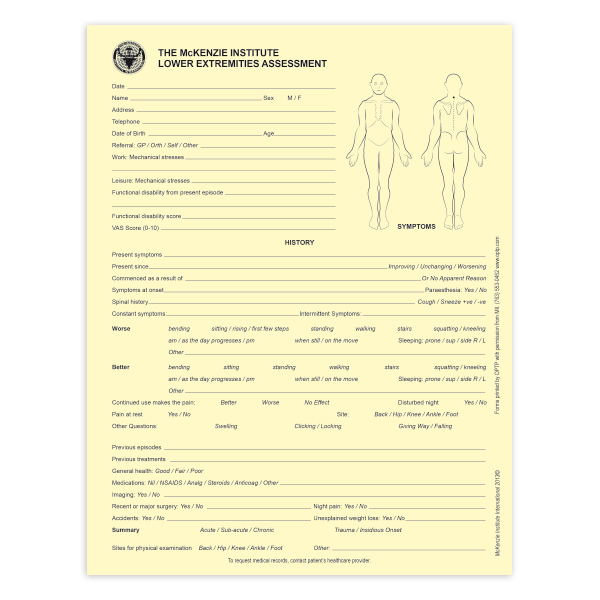 Helpful forms from the McKenzie Institute facilitate diagnostic speed and precision during examination of the extremities using the McKenzie Method®. Each pad has 50 forms; 8.5" x 11". Forms are printed on both sides.